Vincent Jackson is from a military family with both his father and mother serving careers in the U.S. Army. Vince is passionate about supporting and helping Military Families in all aspects of military life. Because of his commitment to serve the community in which he lives, Vincent launched the Jackson in Action 83 Foundation in November 2012. 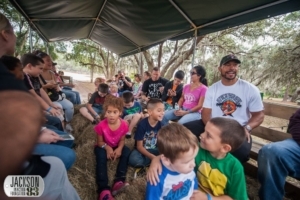 The mission of the Jackson in Action 83 Foundation is to provide support to military families, focusing on the educational, emotional, and physical health of the children. 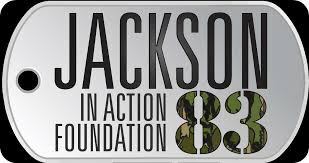 Click here to see the latest the Jackson in Action 83 Foundation activities and find out how to donate or volunteer a little time to participate in one of the many events in the community to help military families. The foundation’s mission is to provide support to military families, focusing on the educational, emotional, and physical health of the children. This mission is especially close to Vincent’s heart because he knows what it’s like growing up in a military family. As a child, his father was deployed to Germany and Panama, leaving Vincent and his mom at home. He feels that one of the real threats to a close bond between military parents and their children is their deployment away from home. Vincent’s desire is to parlay his success in football into an organization that can help military parents maintain close relationships with their kids, no matter the physical distance that may separate them.